LooDeLoop: Project Life | Week Nine at Disneyland! Week Nine is finally done. As you can see, we were a little busy at the happiest place on earth, Disneyland! We spent three days in the park. Three rainy, soggy, sometimes sunny, mostly drizzly days. Here was weather forecast for the time we spent in "Sunny" California. "Oh, forecasts change", they said. "It won't be that bad! ", they said. "At least you'll have short lines! ", they said. But, we still had a blast. Matilda had a smile plastered on her face nearly the entire time. What a magical age 3.5 is to experience Disneyland and all its wonder. I took a total of 867 photos during our 4 day trip. Seems a little light for me, in all honesty. But, the rain did prevent me from pulling out my big camera more than I wanted to. And a quick note about the camera gear that I chose for this trip. I shoot with a Canon 6D. Love this camera. Full frame, great ISO performance, etc etc. My biggest concern was which lenses would make the cut for the trip. I have a slight obsession with lenses. They are all my babies. How can you just pick 1 or 2 favorites? What I did know was that portability and weight would be my biggest concerns. 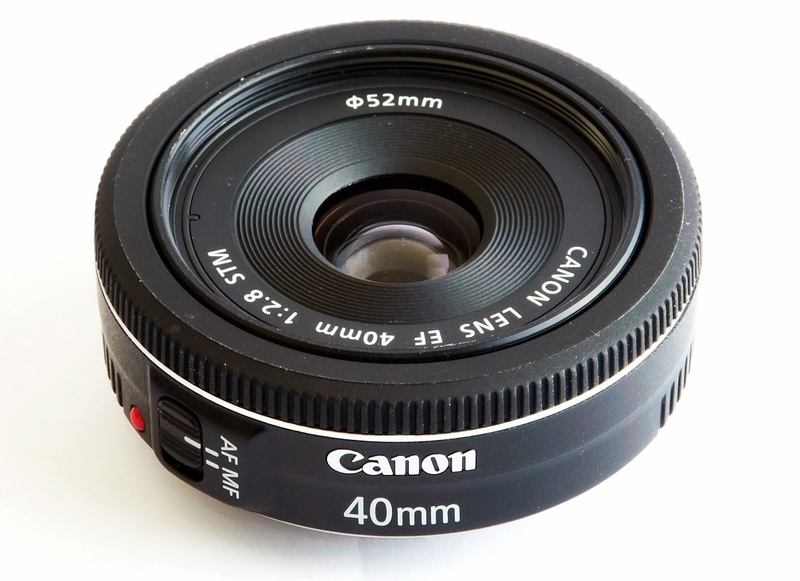 I already knew that my little workhorse, the Canon EF 40mm f/2.8 Lens , would be coming with. I adore this lens. Lightweight, tack sharp, handles video beautifully!! Done. I mean... look how CUTE! Onto the Project Life layouts. Whittling down 867 photos to 31 was tough. My only consolation is that I know I will be making a stand-alone Disneyland Vacation album, too. So those other photos won't have to forever hide out on my hard drive. More on that later. Left side: Becky Higgins Pocket Pages Design A , printed off some cards from the digital "Project Mouse" collection by Sahlin Studio, a photo overlay from Becky Higgins. Oh, and just because I can't possibly be asked to narrow down my photos, I included not 1 but 2 extra insert pages. Using Becky Higgins Design I to include 6 Instagram photos and a Design H for 4 more 4x6's and 4 3x4's. Not a single bit of journaling added to these pages. I'll leave that for the Disney album. I think the photos do all the talking on these pages. After all, Simple = Done. 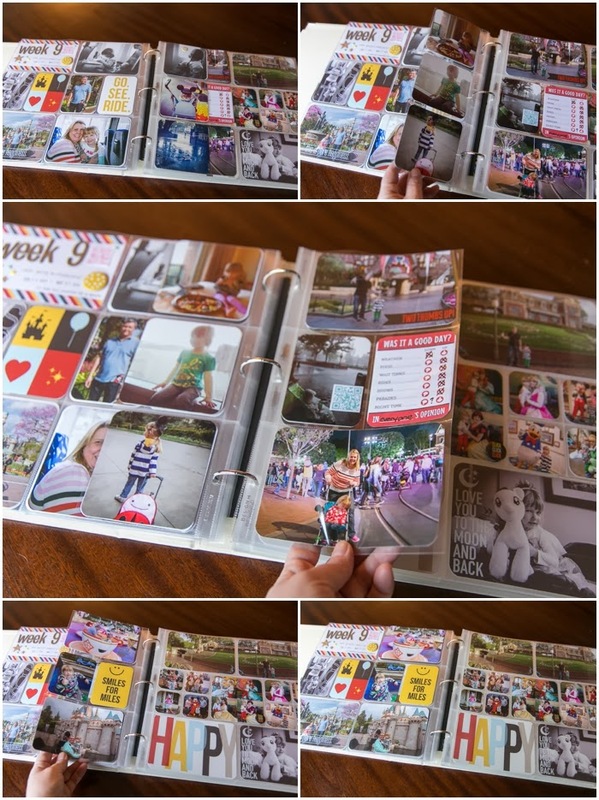 I loved seeing your pictures and how you put them into your Project Life Album. Thanks for sharing the Project Mouse cards.... I must go buy those because I absolutely adore Disney!!!! Thanks again! Thanks for your kind words, Jenn. Have fun scrapping your Disney trips! Great spread! Looks like you managed to find a little dry time between the raindrops! Glad that you had a great time. Shorter lines would definitely make the trip more magical for me. Great photos and great PL layouts. Thanks, Fawn. The short lines were certainly a big perk.